It takes some work to decipher this infographic charting writers in prison for nonliterary crimes, but we like that it exists. Larry McMurtry’s epic rare-book auction is now the subject of a documentary. The band Heaven’s new single, “Dandelion Wine,” is named after the eponymous 1957 Ray Bradbury title. Bibliotherapy: exactly what it sounds like. 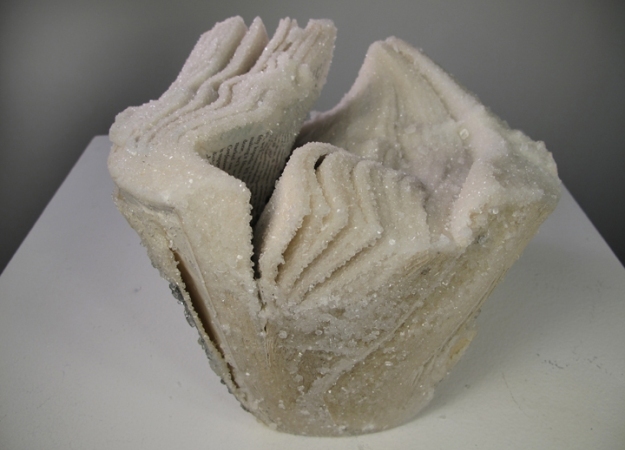 Artist Alexis Arnold’s Crystallized Book series: exactly what it sounds like.